If you are a yoga teacher, this teacher training is invaluable. 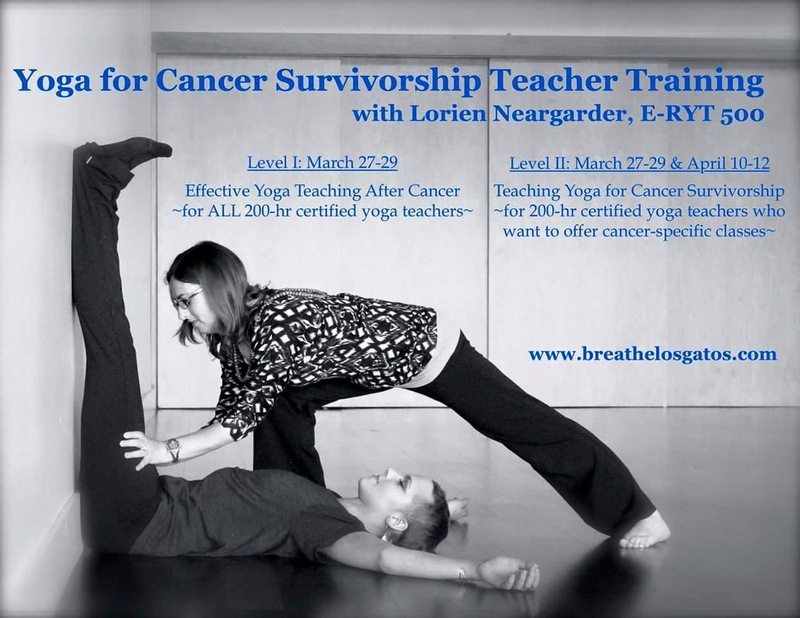 The first weekend is for all yoga teachers who want to know how to include cancer survivors in their classes in a safe way. The second weekend focuses on how to lead classes specifically for those with cancer. Teaching yoga for cancer survivorship is Lorien’s passion. Don’t miss this opportunity!